We specialise in low cost servicing, repairs and restoration for a wide range of motorcycles, from scooters and mopeds to dirt bikes and sports bikes. We service customers from Bournemouth, Poole, Southampton, Ringwood, Ferndown, Verwood and many other towns across Dorset and Hampshire. Hollygrove Mototrcycles was born from a passion for all that is two wheeled. Whether it’s on road or off road, classic or modern. Our aim is to offer good old fashioned customer service in an inviting and friendly atmosphere, set in a rural area surrounded by beautiful woodland just on the outskirts of Bournemouth in Dorset. We operate on a fixed cost basis wherever possible, to ensure our customers don’t experience unexpected escalating charges. With over 30 years experience in off road competition, from motorcross to enduro racing at club and national level, we offer high quality servicing and preparation backed up by an extensive history of tuning and maintenance. Whether it’s two stroke or four stroke, or if you’re just starting out, we can offer guidance on almost anything about bikes, even if it’s just on how to get started or what clubs to join. We also offer guidance on various aspects of biking, from purchasing your first scooter or motorcycle, to training and the new motorcycle licensing categories. We will soon be able to accommodate bikers as a social meeting place, either for ride outs, or just somewhere to ride to for a chat at the weekend. We are building an outside seating area which will be developed during the new year. Now in partnership with SuperBikeLoans to offer you competitive low cost financing. 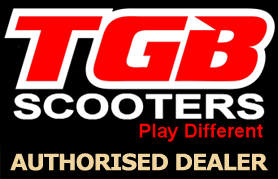 We are an authorised Lexmoto dealer. Call us on 01425 476114 to find out about the range.